This will be another lengthy post but it’s important information as we are beginning to see agreement in the models on some aspects of this storm. I’ll start by saying that while model agreement is starting to gel, it’s still early and I would not be surprised to see changes before the storm’s arrival this weekend. with that the Euro has been predicting the last few days. Sunday we can see it has significant accumulation. can see it has significant accumulation by this time. average of 16.57 inches between all models run. Please keep in mind, the above are model predictions and not quite yet official forecasts. So while we are seeing agreement, this information should still be taken with a grain of salt. 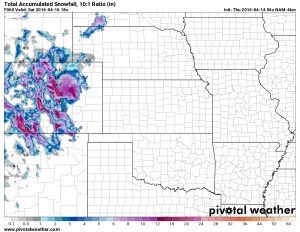 This storm is still not a guarantee, but should it verify folks living especially in areas South of Denver along the Palmer Divide would do best to begin making some preparations for this storm. A Winter Storm Warning is in Effect for Western Douglas County. This Warning Does Not Include Castle Rock or the Palmer Divide at this time. We will update if this changes. If you need to go to the grocery store, probably a good idea. If you have enough food to last through Monday you probably don’t need to rush the store. I imagine folks will still be getting around just fine Saturday morning so a store visit can wait till Friday or early Saturday if needed. Power outages will be possible, so keep that in mind. This storm is in no way a sure thing yet, so don’t take my advice above as the sky is falling. That being said, models are locking onto this a bit and it is a good time to start preparing in case this storm does turn out to be a big snow maker. A lot can still change and there is still plenty of time. I’ve seen storms like this in the past absolutely dump on us and also completely dissipate and leave us with nothing; with no hint from the models until a couple hours before the storm actually arrives. 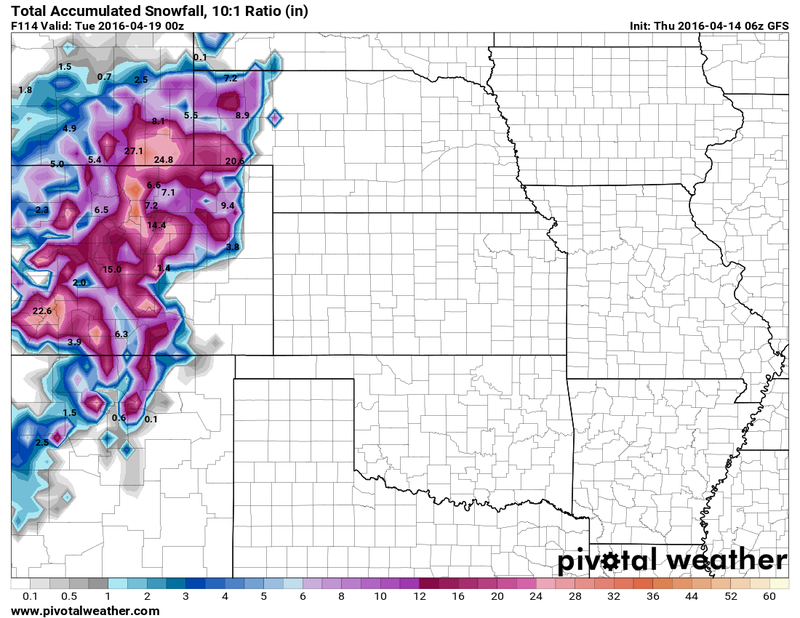 You’ll remember the models didn’t see the blizzard coming in March until about midnight the day the storm arrived. My advice, keep a close eye on the weather in the next day or two. Dust off the snowblower, make sure you have some food (hit the store before the media hype begins if you can and folks clear the place out.) If nothing happens at least you won’t have to make a shopping trip next week. Have some good indoor activities for the family and if you have travel plans keep a very close eye on road/airport conditions. As things begin to move quicker now, expect more updates throughout the day from me now. I’ve been doing one post a day so far as not much has changed but expect at least 2-3 or more each day starting today if things begin to change in the modeling or forecast. Thanks for sticking with us and stay tuned! Do you only forecast the Denver area? Hi Beth! 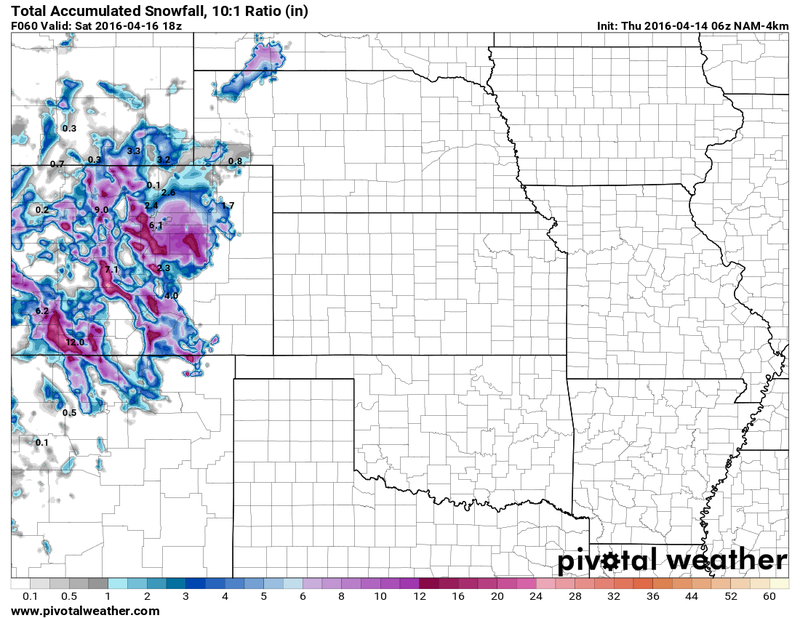 I usually focus on the areas South of Denver (Palmer Divide – Parker, Castle Rock, Elizabeth, Kiowa, etc…) As my group has grown here, I’m finding I’m getting a lot of people from outside those areas so may begin to look at forecasting beyond those. What area are you near, I’m trying to get an idea of where everyone is so I can expand a bit! I live in Custer, SD and find it difficult to locate accurate weather predictions. I work in Denver and commute 2 days a week. Nice to be able to determine if I fly or drive. Glad to be heading home tomorrow a.m. before this storm develops down in Denver. Have 3 kids in the mountains. Leadville and Gunnison. If you live in these remote areas with no TV stations you are kind of forgotten a little bit. Most weather forecasts are limited to what news channels deem viewing audience…it is actually wider than they realize.